Horses Product of the Year Election! On the 6th of February the award ceremony of the seventh edition of the Horses Product of the Year Award took place. NeXaver was this years big winner. The award winners per category and the overall winner where announced at Van der Valk Hotel Apeldoorn-De Cantharel. Which equestrian product or service deserves the title this year? As an organization we look back on seven beautiful editions in which this election has become a very popular one in the equestrian sector. Suppliers and service providers of different brands put their product or service in the spotlight, with the aim of winning the title ‘Horses Product of the Year’. NeXaver was this years big winner. 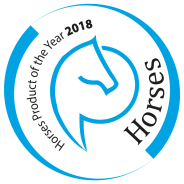 Horses Product of the Year 2018!